Special shampoo for greasy and dyed blond hair. 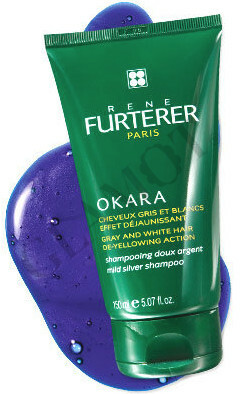 Silver shampoo using special pigments suppresses yellow tones in the hair and neutralize them. It adds nutrition, hydration and shine to the hair. This product is suitable for coloring and streaked blond hair. Apply to wet hair and massage gently. Then rinse, repeat the application as needed.